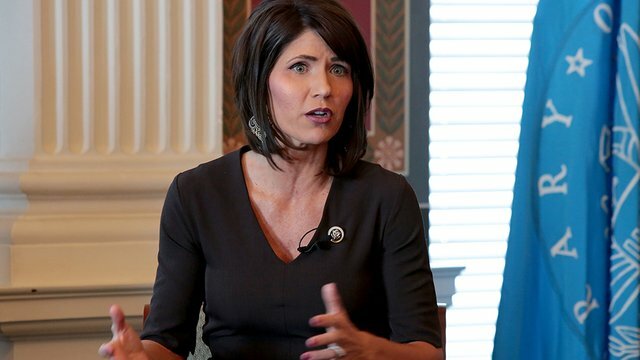 THIS WOMAN, Governor Kristi Noem, is responsible for implementation of South Dakota’s horrible, misguided predator control and “bounty” program. PLEASE folks, do NOT direct any anger or inquiries about the program to the Outdoor Campus. They were mandated from on high by our horrid governor to implement the bounty program. They have no choice in the matter. If you’re upset about the program, direct your attention to the governor’s office. EDIT: ALSO READ THIS BLOG POST ABOUT THE REAL “VALUE” OF PREDATOR CONTROL PROGRAMS, and what South Dakota and Noem SHOULD be doing. In several years of blogging, I have NEVER had a blog post receive as much immediate attention (and views) as the one from yesterday, regarding the South Dakota predator “bounty” program. It’s come to my attention that there are petitions and other energies directed against the program. That’s GREAT. However, please, please do not direct your anger at the Outdoor Campus itself, or the persons at the Outdoor Campus. The staff at the Outdoor Campus is, ironically, in a very similar position to what I and my colleagues (federal scientists) often feel like over the last 2+ years. We’re all dedicated to our mission. We believe with all our heart and soul in that mission. We believe we are HELPING people, and we take great pride and satisfaction in that work. But alas, politics plays an ugly role when you’re a government worker, and increasingly, that politics interferes with the public good, and with the ability for staff to do their jobs. PLEASE DO NOT DIRECT ANY INQUIRIES OR ANY ANGER TOWARDS THE OUTDOOR CAMPUS OR ITS STAFF. I greatly respect the vast majority of the work that is done by the Outdoor Campus and their staff. Frankly I don’t visit the Outdoor Campus nearly as much as I used to, and you know why? Because the place is usually CRAWLING with children. Weekdays with school field trips, weekends with kids and their families, the Outdoor Campus has become a beehive of activity in the heart of Sioux Falls. Given how disconnected kids generally are these days from the outdoors, I wholeheartedly support most of the work that they do. And that is why it broke my heart to see how the bounty program has become a mandated part of the mission of the Outdoor Campus. I believe in most things the Outdoor Campus does. But I do not, can not, and will not support ANY kind of “predator control”, and this bounty program is about the worst implementation of such a program that I can imagine. SCIENCE SHOWS PREDATOR CONTROL DOESN’T WORK for the purpose of increasing critters people like to hunt. Not only that, but the evidence shows it has all kinds of unintended consequences, including increases in rodents and other pests that result in MORE damage than what the predators themselves might be responsible for. It’s a misguided program, mandated from Kristi Noem and the state government. AIM YOUR ANGER IN THAT DIRECTION. Give the Outdoor Campus folks a break, for they truly are dedicated to a mission of helping people connect with the outdoors. Previous Post: Bird sounds in cinema – Confirmation I haven’t just been hearing things!